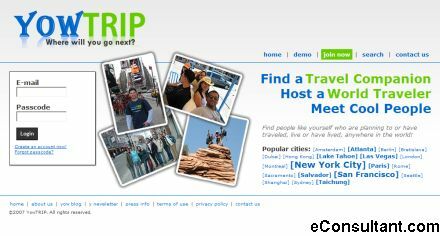 Description : YowTRIP is a social network site that connects you with other world travelers in your town or wherever you’re traveling. Find people like yourself who are planning to or have traveled, live or have lived, anywhere in the world. YowTRIP’s goal is to promote cultural exchange by connecting world travelers and enabling them to share their travel experiences on this online community.